Jordan Karem works with Kate’s Club, an organization that helps kids and teens going through grief. She’s 15 years old, and lost her dad to stage four lung cancer in 2011. She was eleven when her father died, and found herself needing a unique type of support. Living in Atlanta, Georgia, she found Kate’s Club herself after doing an online search. Grief groups, activities, and outings are all available, as well as a summer camp. Here, Karem said she felt normal and could meet other kids who’ve experienced a similar loss. Her other friends weren’t familiar with parental loss and couldn’t quite connect with Karem in that aspect. With Kate’s Club, Karem found other teens who had been through what she was going through. It was the greatest help. Atlanta-based, Kate’s Club serves the entire metro area. However, there are organizations around the world and likely one near you. Alternatively, there are online support groups for teens and kids. Parents should check the validity of organizations, and otherwise let their teens take the driver’s seat. 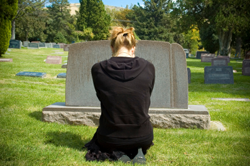 Many parents of teens think their child isn’t grieving or isn’t grieving “right,” which can be challenging for the whole family. 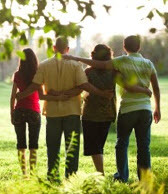 However, many teens take it upon themselves to protect their parents from further heartache. They might instead reach out online or to their friends. In some instances, Facebook can be a healthy outlet. However, adults should carefully monitor online usage when a teen is grieving. Knowing your child is getting the support they need is critical. It can be an overwhelming time for entire families. Teens in particular can feel lost in the shuffle. If you know a teen who’s dealing with a loss, make sure they have the resources and support necessary to heal.